EARLY IN 2007, RETROBUILT WAS STARTED BY A YOUNG MAN IN HIS SMALL SHOP. HIS AUTOMOTIVE VISION WAS HEAVILY INFLUENCED BY THE LEGENDARY CARROLL SHELBY. 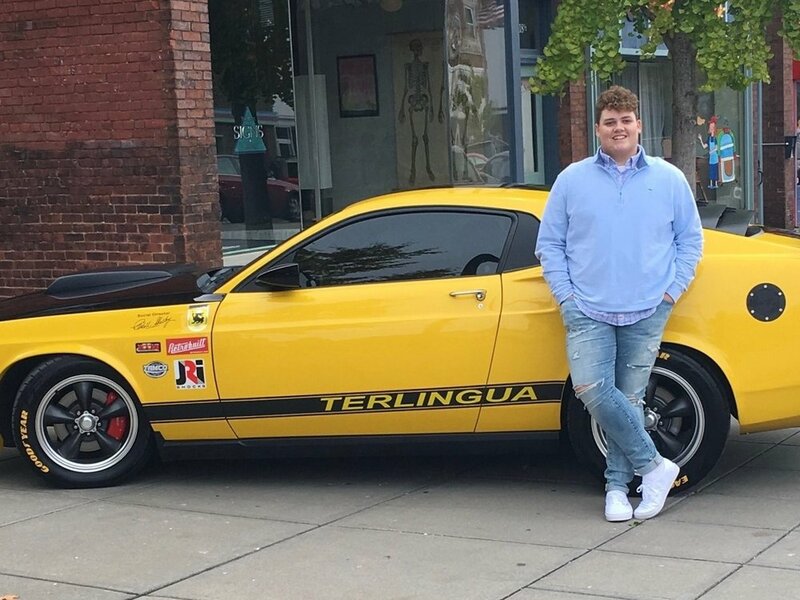 THIS YOUNG MAN’S EARLY GOAL WAS TO CONVERT A BRAND NEW 2007 FORD MUSTANG INTO A RETROBOD 1969 MUSTANG. RETROBUILT’S FOUNDER DREAMED HIS FIRST PRODUCT WOULD BE ACCEPTED BY AUTOMOTIVE EXPERTS AND ADMIRED AND SOUGHT AFTER BY THE GENERAL PUBLIC. HE DREAMED HIS MUSCLE CAR BUILD WOULD EMBODY ALL THE CURB APPEAL AND BODY STYLING OF AN ERA GONE BY BUT WITH ALL THE PRODUCTION TECHNOLOGY, RELIABILITY, AND WARRANTY OF A MODERN AMERICAN MUSCLE CAR PRODUCT. IF SUCCESSFUL, RETROBUILT’S FOUNDER BELIEVED HE COULD OFFER THESE PRODUCTS AT A VERY COMPETITIVE PRICE WHILE OFFERING THE MORE DISCERNING CUSTOMER, WHO WAS NOT LIMITED BY PRICE POINT ALONE, A VERY PERSONALIZED ONE OFF VEHICLE. RETROBUILT’S OWNER BELIEVED THAT RE-STYLING A CUSTOMER’S “DONOR” CAR BODY, WHILE ENHANCING ITS AUTOMOTIVE PERFORMANCE, IMPROVES VALUE AND CURB APPEAL. OVERALL VEHICLE ENHANCEMENTS ARE LIMITED ONLY BY THE IMAGINATION AND COST CONSCIOUSNESS OF RETROBUILT CUSTOMERS. A FINISHED VEHICLE WILL CROSS TRADITIONAL GENERATIONAL CAR BOUNDARIES THEREBY EXPANDING THE MARKET AND IMPROVING RESALE POTENTIAL FOR THE PRESENT OWNER FOR YEARS TO COME. BLIND TO THE TECHNICAL CHALLENGES THAT SAT BEFORE THEM, THE RETROBUILT FOUNDER AND HIS TEAM DID CREATE A ONE OFF 2007 RSC (RETROBUILT SUPER CAR) GT MUSTANG. UPON PROJECT COMPLETION, RETROBUILT TOOK THIS CAR TO THE 2007 SEMA SHOW. FROM THERE, THAT CAR WAS HONORED TO APPEAR ON THE COVER OF 5.0 MUSTANG MAGAZINE’S 2008 FEBRUARY EDITION. AS THEY SAY, THE REST IS HISTORY.